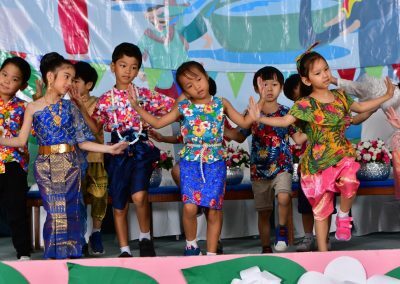 What a wonderful time of the year for Thailand! 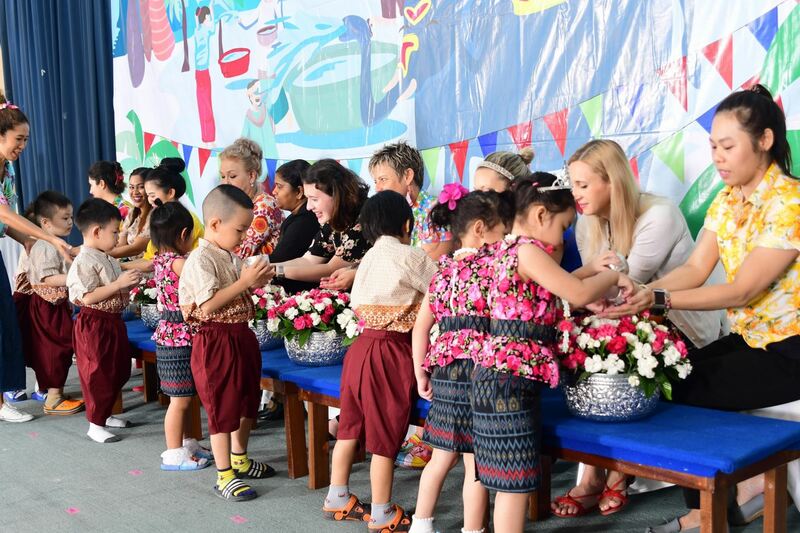 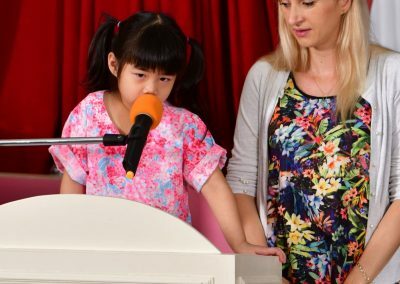 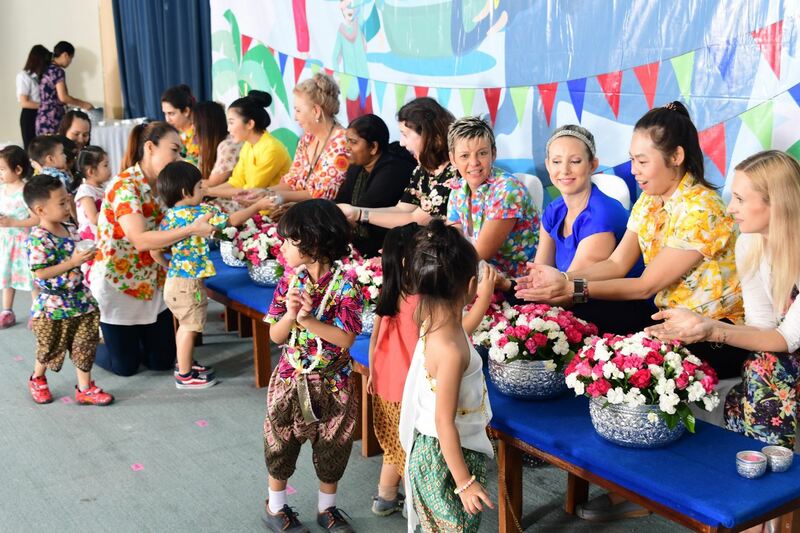 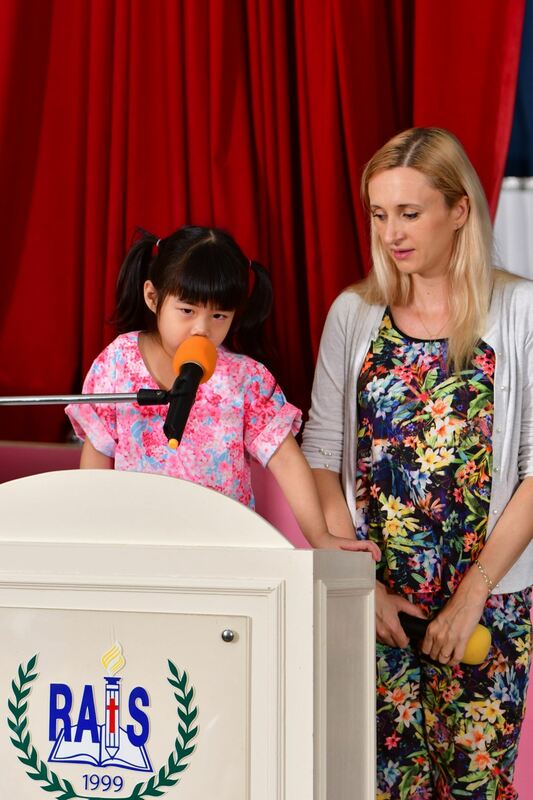 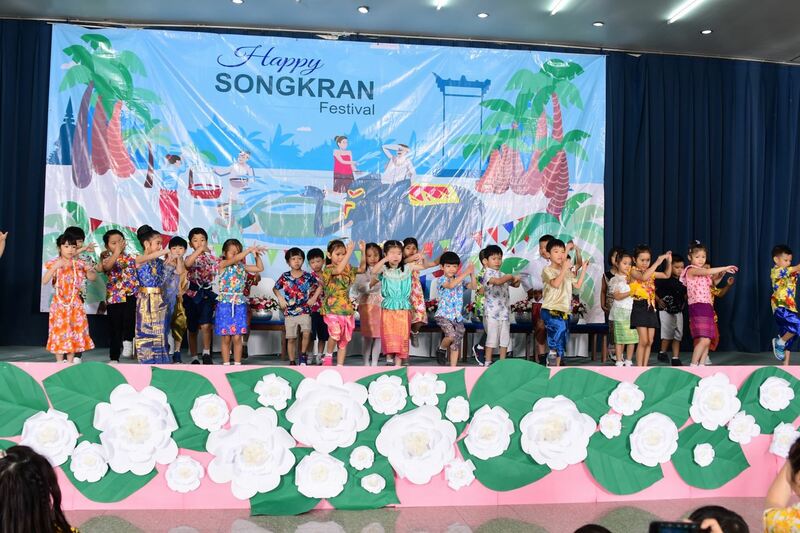 The Preschool Songkran program was wonderful! 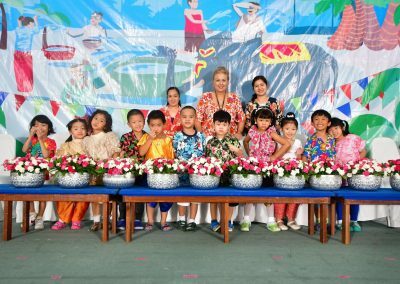 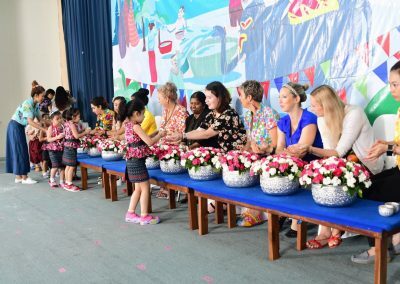 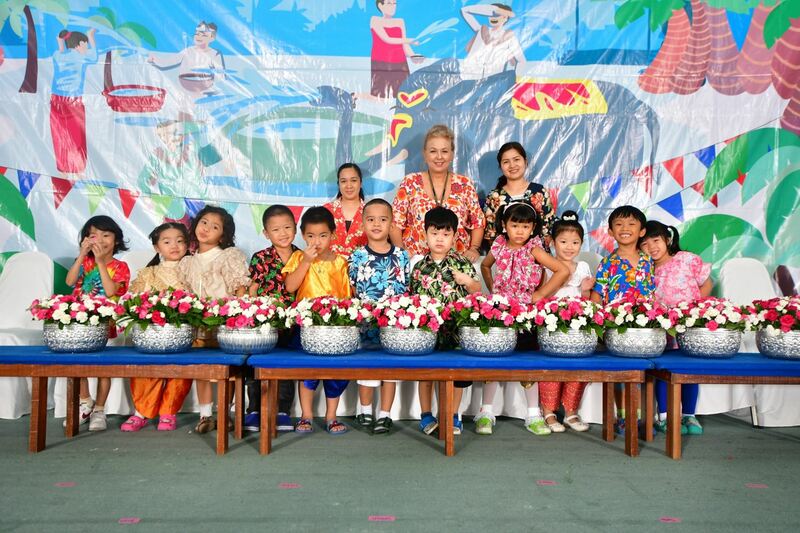 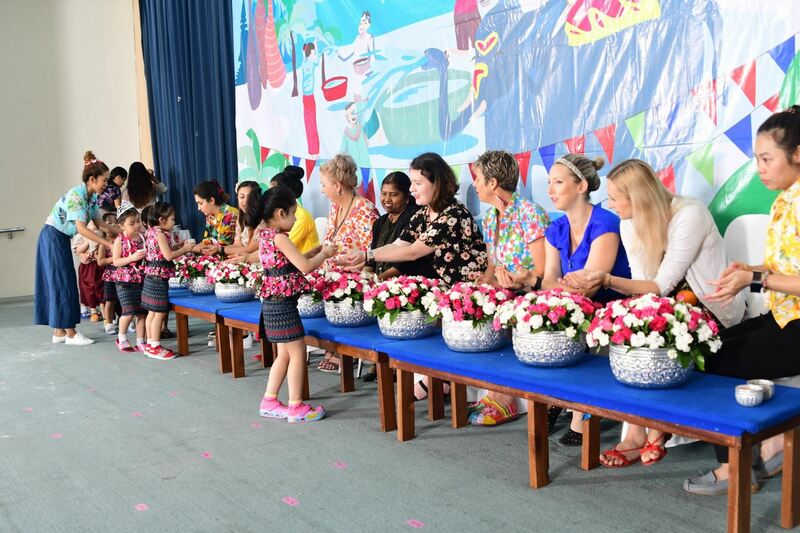 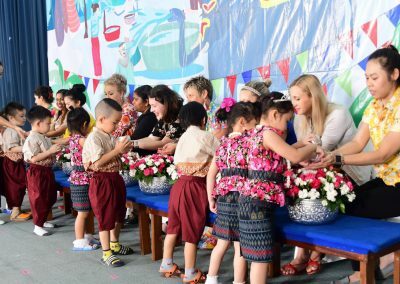 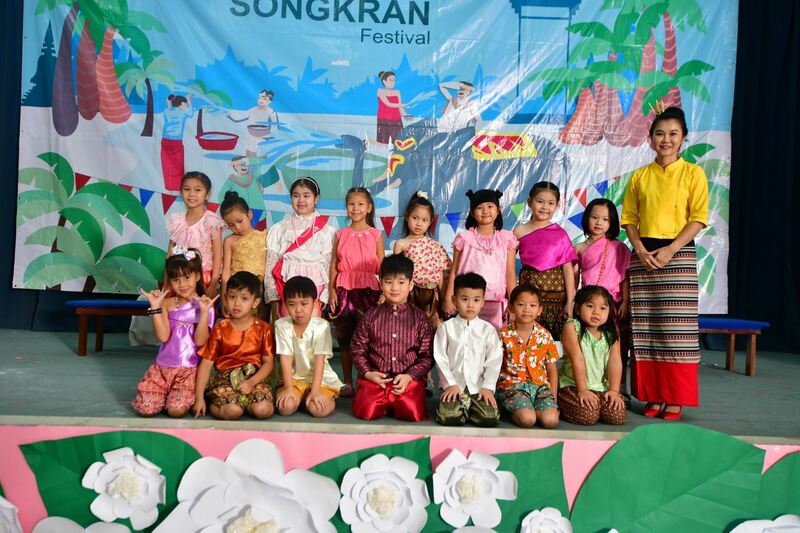 Children had a chance to dress up in traditional costumes. 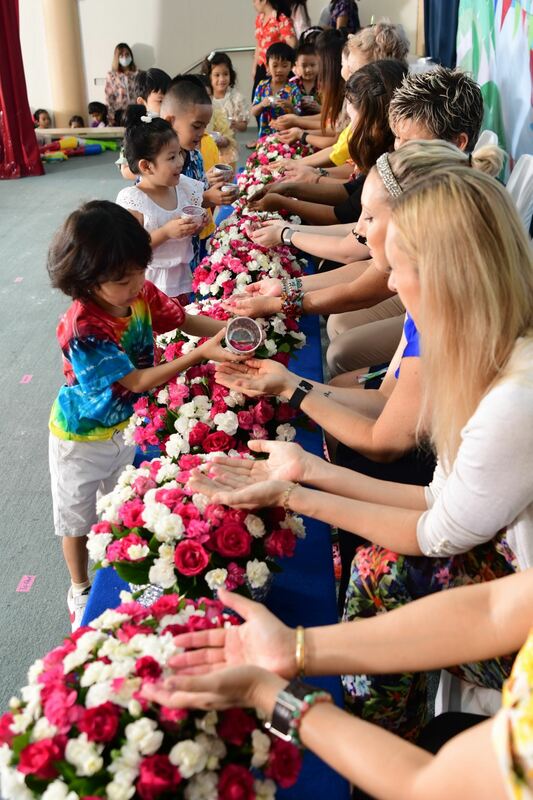 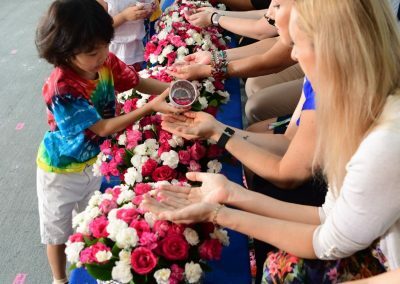 They learned the meaning of pouring water on adults’ hands — a symbol of love, blessing and respect. 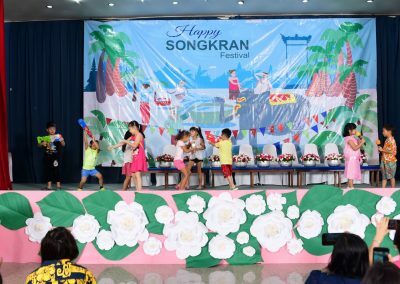 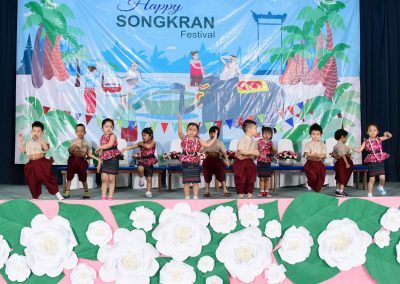 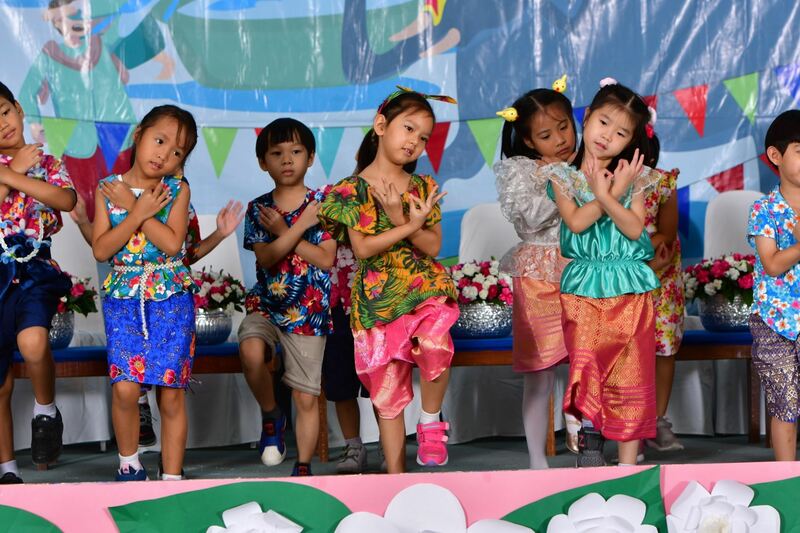 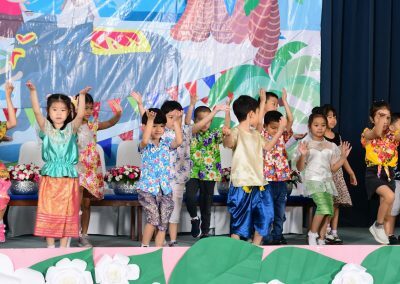 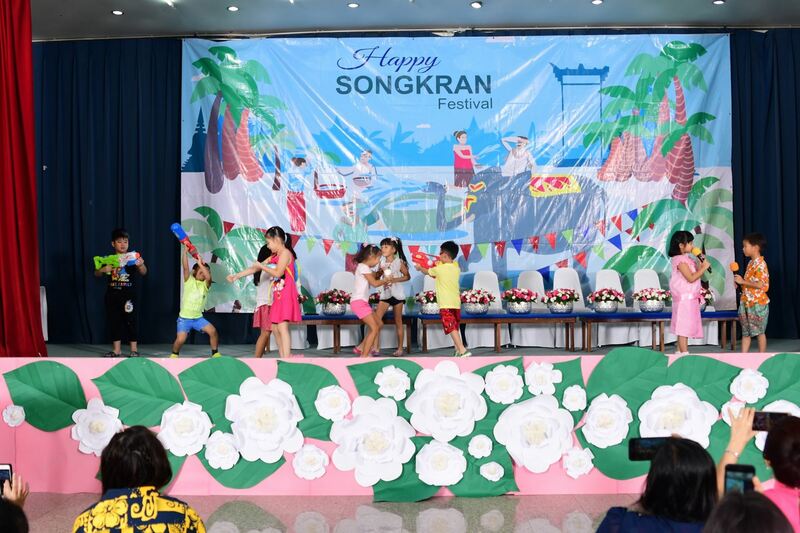 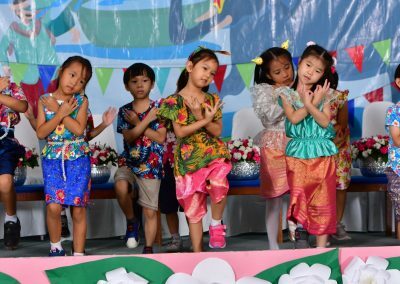 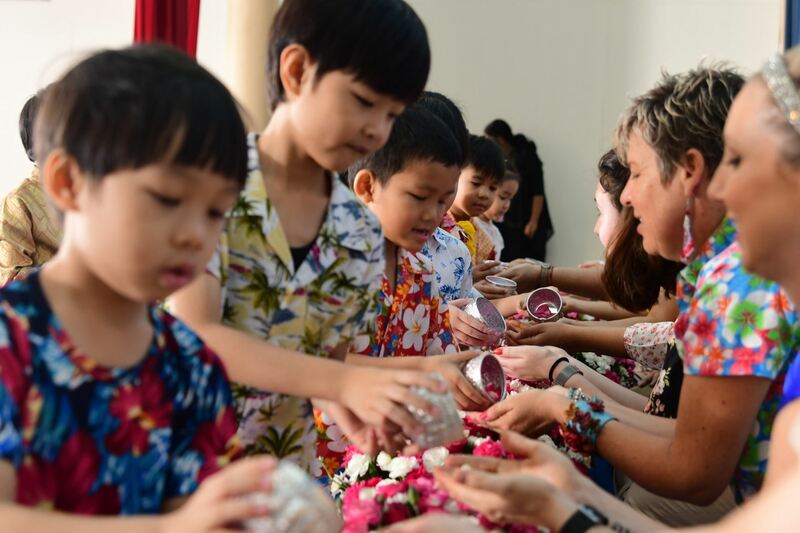 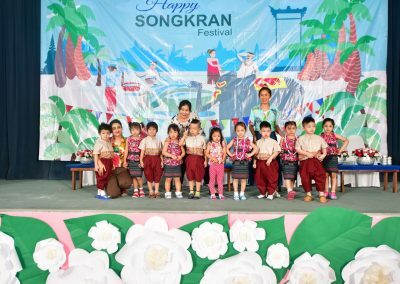 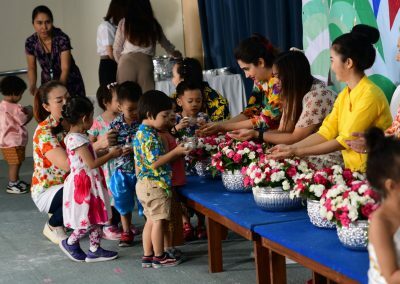 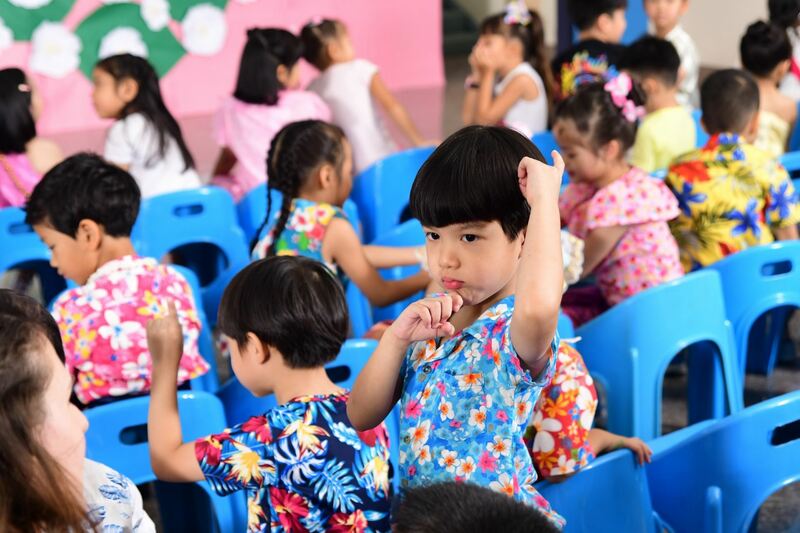 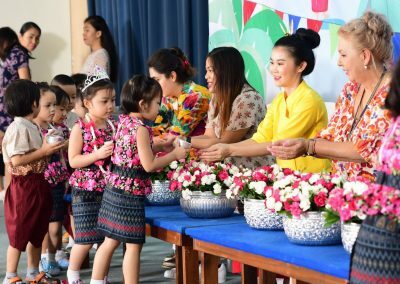 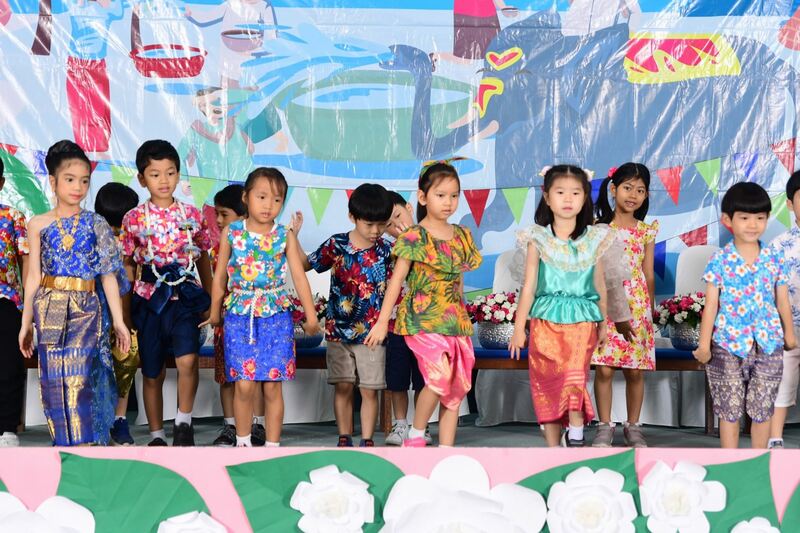 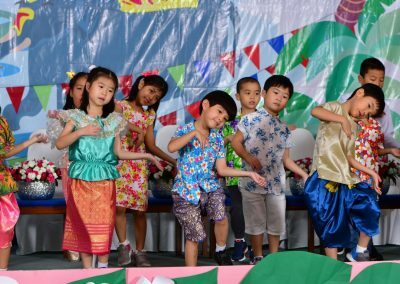 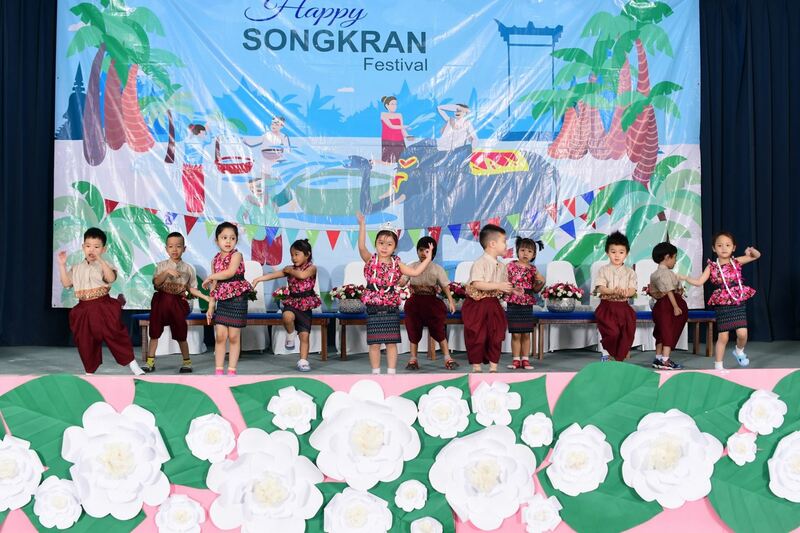 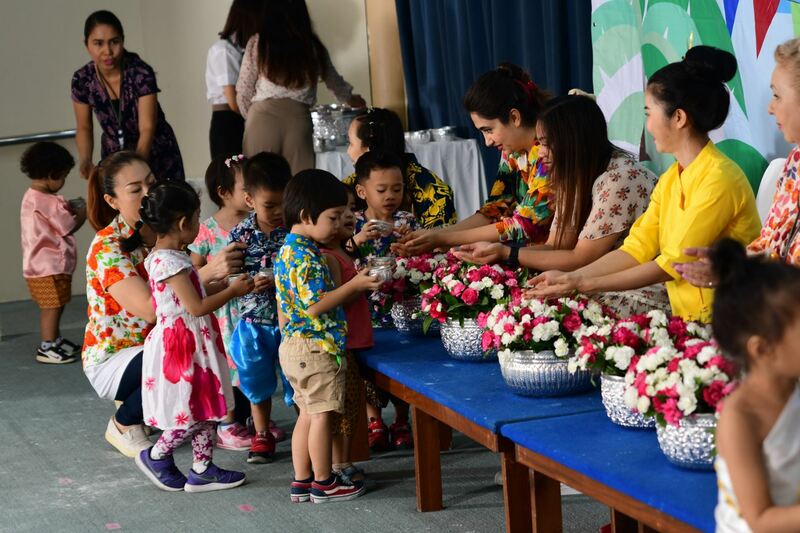 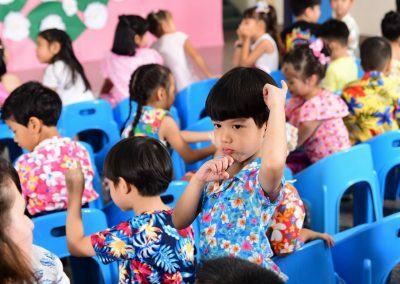 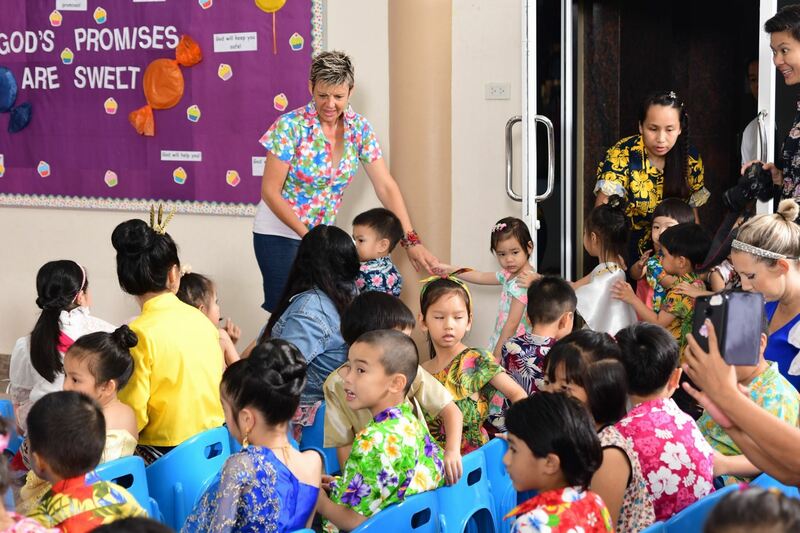 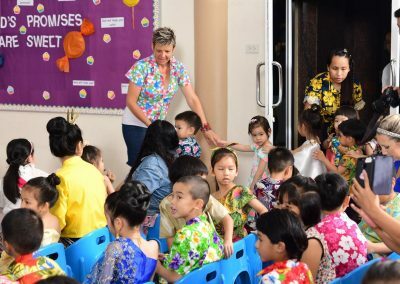 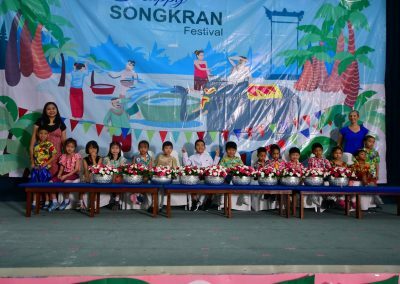 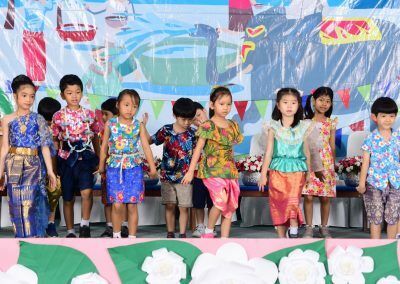 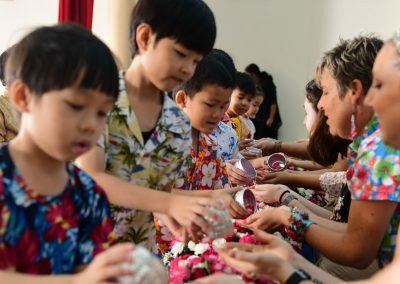 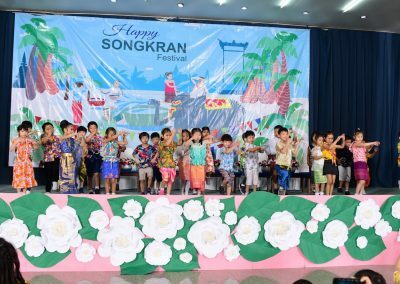 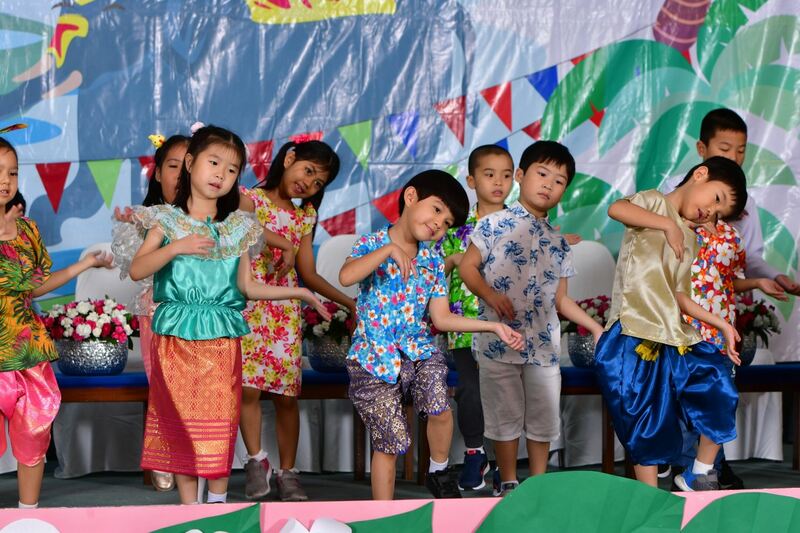 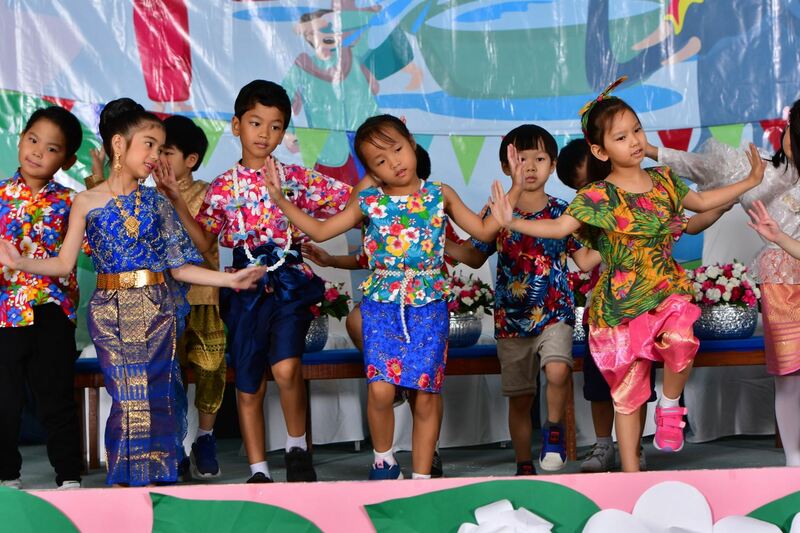 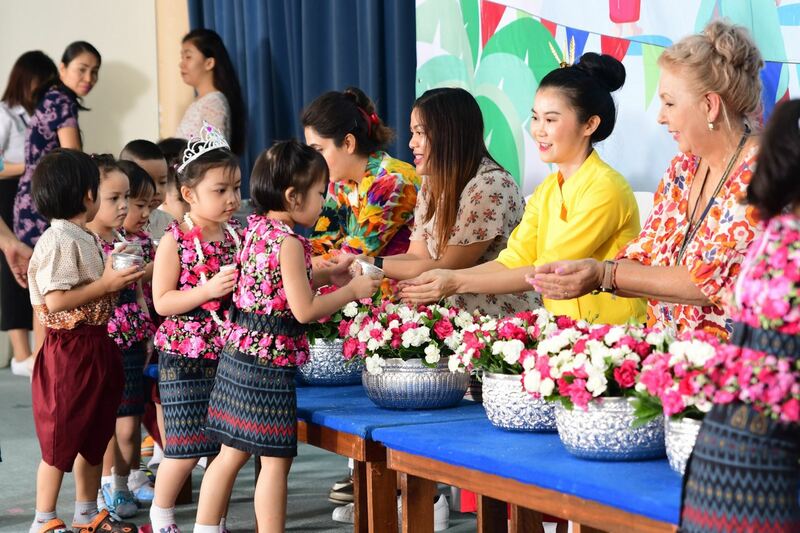 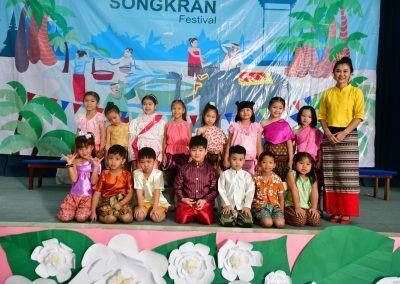 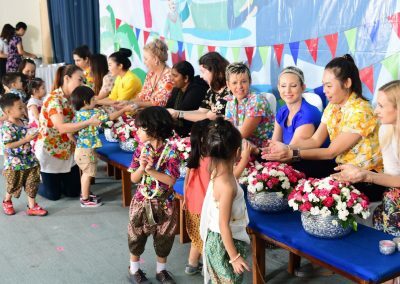 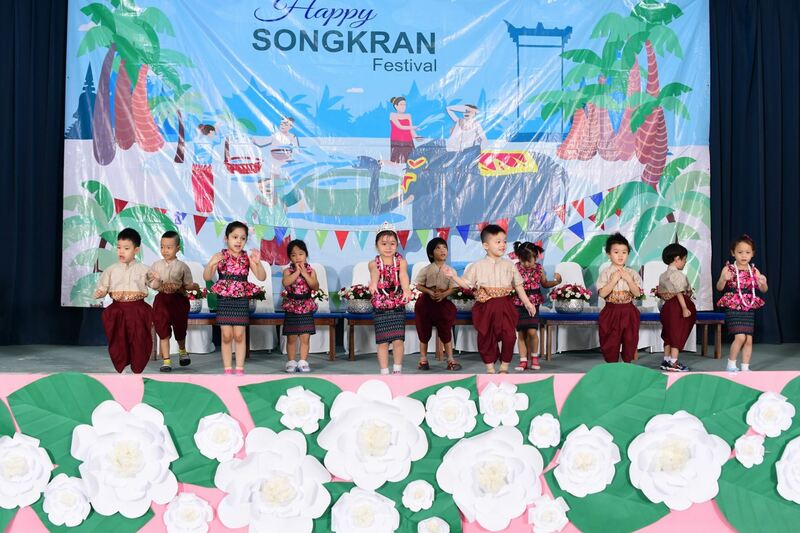 Students of K1 and K3BC performed a Thai Dance, while K3A students performed a skit to show how to play water during Songkran Festival in the right way. 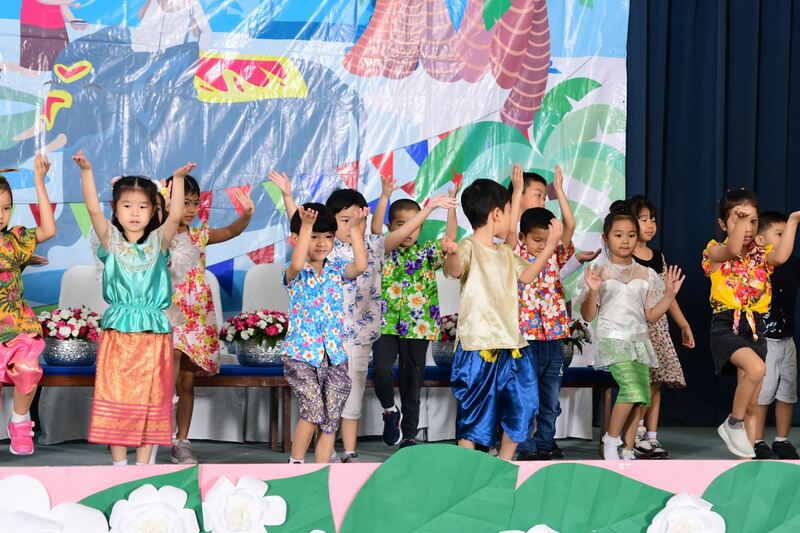 Preschool students, teachers and parents had fun time during the program. 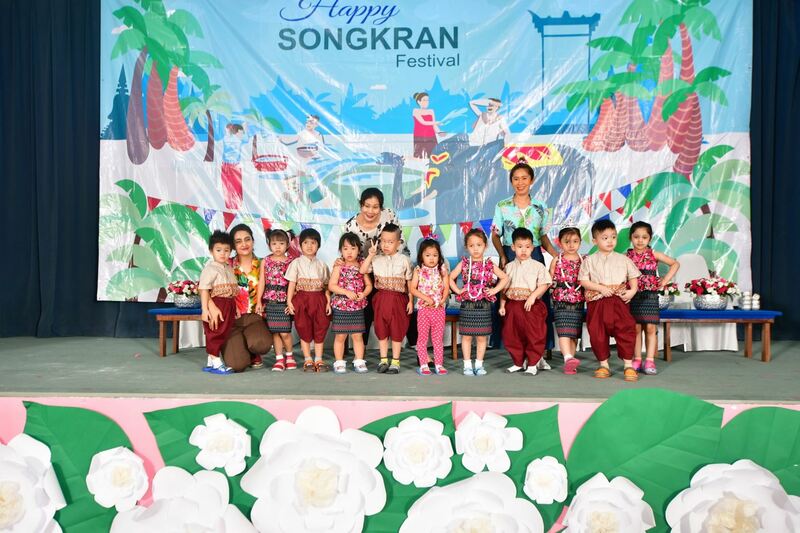 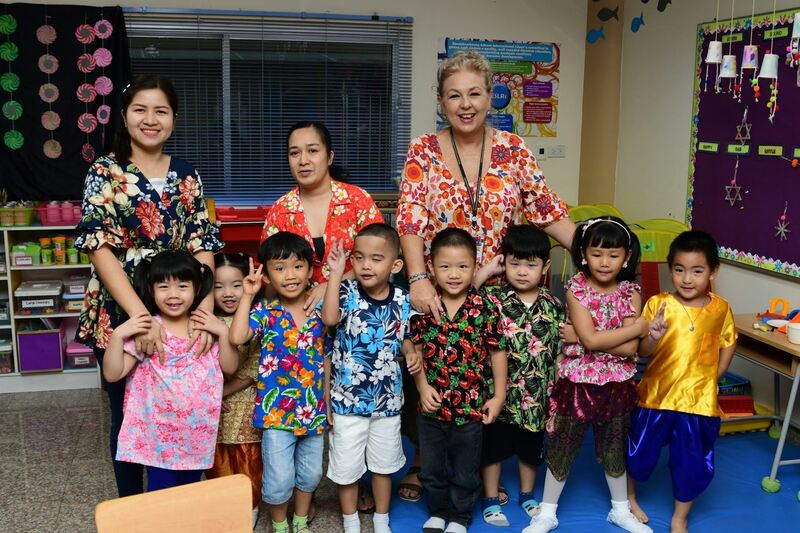 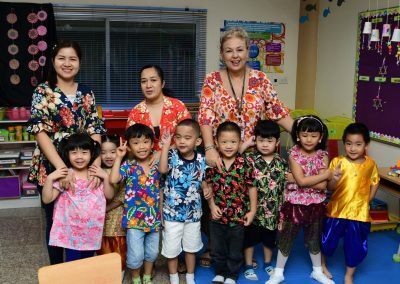 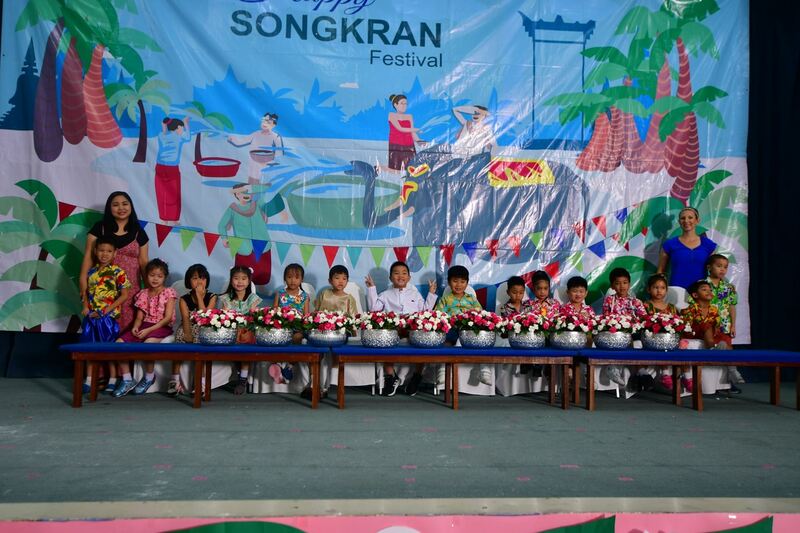 The Preschool section would like to wish everyone a Happy Songkran!